Jericho's Return a short one ? Jericho appears to be only returning until April, when he will then go back on tour with Fozzy. Cruiserweight Show In WWE ? WWE Network is making a cruiserweight only show and has begun compliling a list of people they want involved. WWE is interested in using the Sunlife University's gym facility in Florida. C.M. Punk said he will be having a 3 disc documentary coming out. Apparently Punk told WWE he doesn't want the same people doing commentary who did the recent Jericho and Orton DVDs. He also wants to choose his own music, said to be bands with his buddies in them. Hasbro will release a new action figure for The Rock's "Roadblock" character in GI Joe this May. 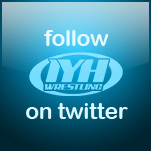 All this and more, including the latest CZW merchandise at the Pro Shop at HybridEnt.TV! - Mark Haskins receiving a concussion during his match with Austin Aries. If you saw the show, you saw his painful looking botched shooting star press. Hell of a match if you haven't seen it. - James Storm dislocated his elbow. - Crimson appears to have injured his knee. It is not believed they will miss any action. Lilian Garcia's husband mentioned Evan was now in rehab on The RAW After Show on AfterBuzz.com. Evan is currently on a 60 suspension following his 2nd Welness Policy violation. Bobby Lashley Back to WWE ? Bobby Lashley reportedly wants to return to WWE, but WWE "wants no part of him right now." They are unhappy about him leaving after so much TV time and such a big push was given to him. The Wrestling Observer Newsletter reported Brodus Clay was not wanting to do the Funkasaurus charatcter. Brodus was for the original plans of a monster heel character. BG "Road Dogg" James has been reported to be helping Brodus with making the character a success. "The Human Horror Film" Supreme opened the show, plus Jack and Incher went over all the news and took all the calls !!! 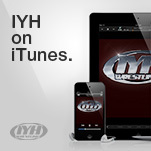 IYH Live - Listen Now !!! Ruckus opens the show !!! "The Human Horror Film" Supreme will be live this Wednesday at 8:05 PM EST !!! Jack and Incher review the Rumble and took your calls immediately after the Royal Rumble !!! We were joined by The Franchise telling us all about The Extreme Reunion !! !